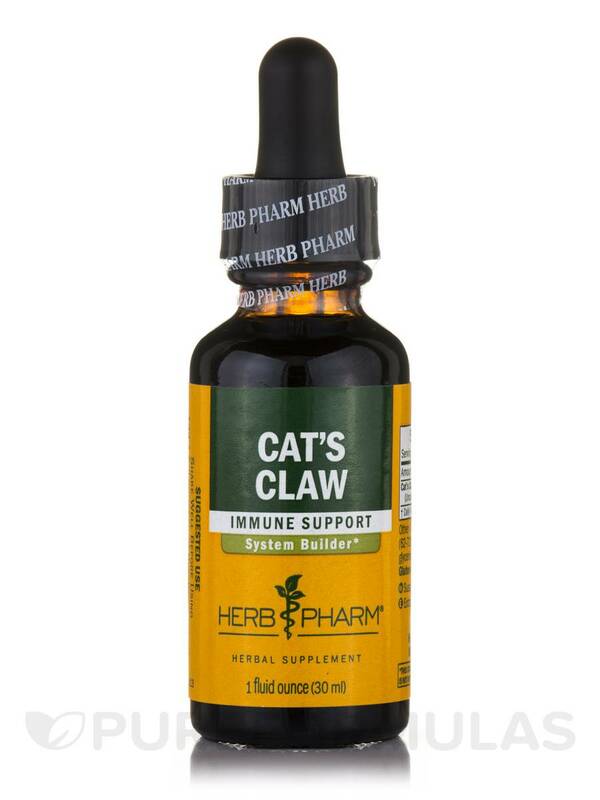 Herb Pharm’s Cat’s Claw is a convenient liquid supplement that provides cat’s claw extract. 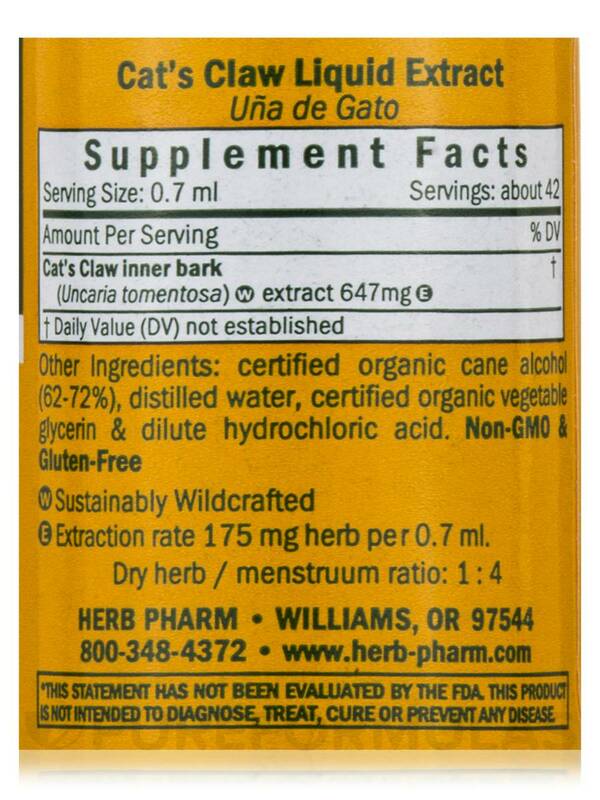 Cat’s claw (also known as Uña De Gato) is a plant that may work to promote overall well-being in several ways. First‚ Cat’s Claw might serve as an antioxidant; as a result‚ this supplement may work to protect your cells from free radical damage. At the same time‚ this product may help address certain symptoms associated with inflammation‚ such as mild joint pain‚ swelling‚ or stiffness. In addition‚ cat’s claw may also play a role in maintaining healthy digestive function. For example‚ cat’s claw extract may work to alleviate certain symptoms associated with irritable bowel syndrome (IBS)‚ pain and swelling in the large intestine‚ or inflammation in the lining of your stomach. Cat’s Claw by Herb Pharm is prepared with the inner bark of uncaria tomentosa vines‚ which are located in the Peruvian region of the Amazon. By the same token‚ the uncaria tomentosa bark in this supplement has been hand-harvested. 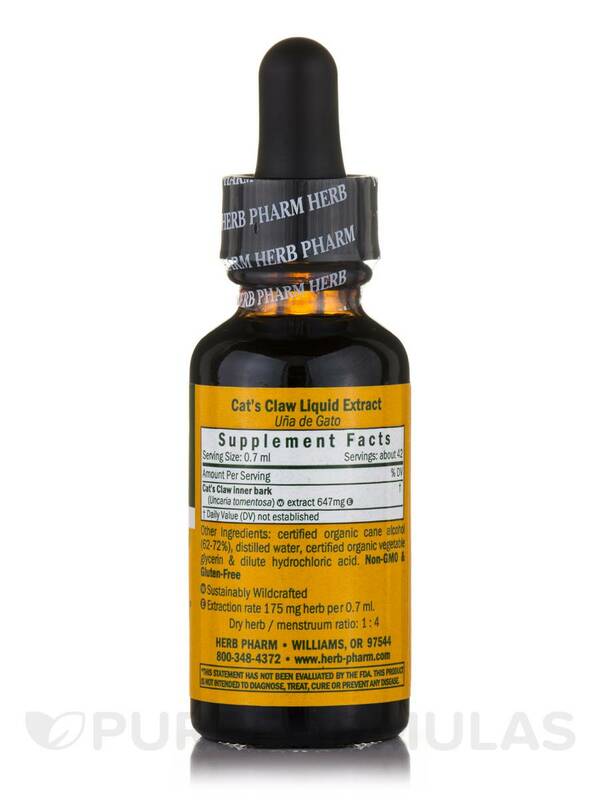 Each bottle of Herb Pharm's Cat's Claw contains one fluid ounce of solution. 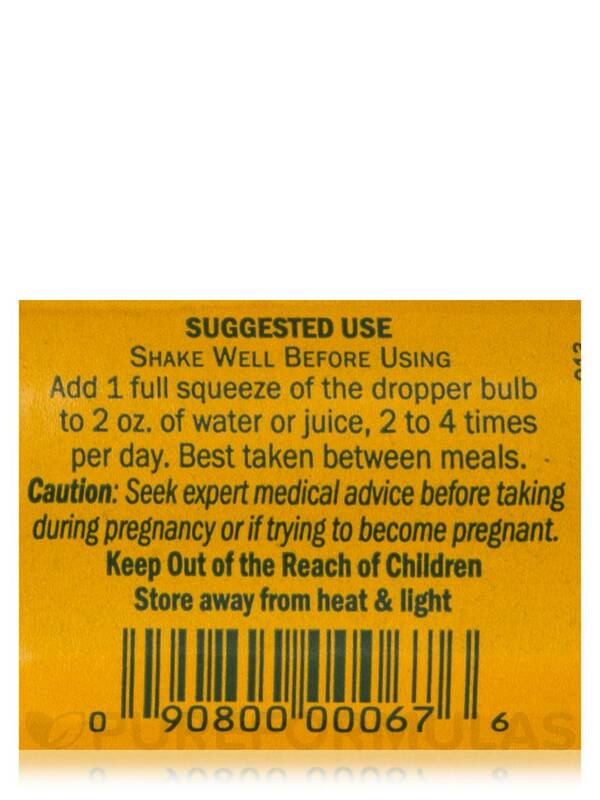 Take up to 40 drops mixed with water or juice two to four times daily.